A perfect blanket for the cold winters, the recipe will warm your heart and envelope your soul in its smooth astounding flavors! A stew of sorts, traditionally this dal requires cooking on low flame /charcoals for hours to lend the creamy flavor. But today, along with cooking it low and slow in our modern kitchens , dollops of cream and butter also lend to its buttery texture. Mix and soak the three lentils in water for atleast 8 hours , preferably overnight. Take the soaked lentils and boil or pressure cook them along with 2 cloves of garlic, freshly grated ginger and green chilly, salt and turmeric powder, till done. Take a deep vessel, heat the ghee and add cumin, cloves, cinnamon stick and bay leaves. Once the cumin crackles, add onion , rest of garlic . Stir till translucent, add the tomato puree and cook for 3-4 minutes. Now add red chili powder, garam masala , stir and keep cooking till a film of ghee is in sight. Now add the boiled lentils, mix and keep the flame on low to medium. Add fenugreek leaves and simmer the dal for 45 mins to an hour on low flame. Keep an eye as the dal simmers. Now add cream and butter and mix, bring to a boil. Add some warm milk if the dal gets too thick. Devour with Naan or rice. Enjoy! 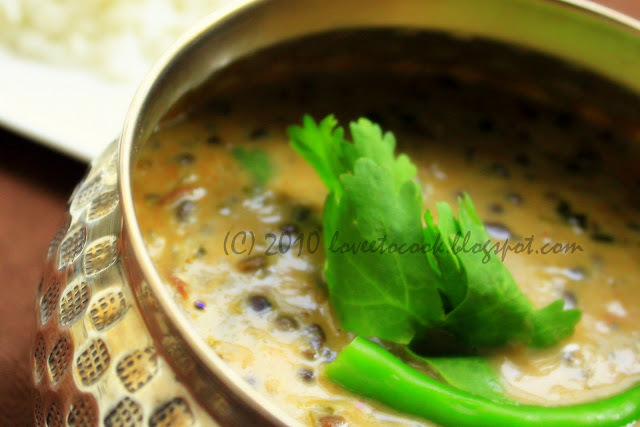 i luv the creamy texture of Dal Makhani Bukhara, looks healthy and delicious dish.